Diamond cut craft: Karat is designed from diamond cut craft, the shape of device like the real diamond. We prepare a lanyard hole at the bottom for easy take. Double filling slots: Karat has 2ml refillable pod with double filling slots, this system is designed to give simplicity and security. Long battery life: Karat uses 370mAh built-in li-po battery with stable output, supports vape about 220 puffs after fully charged. 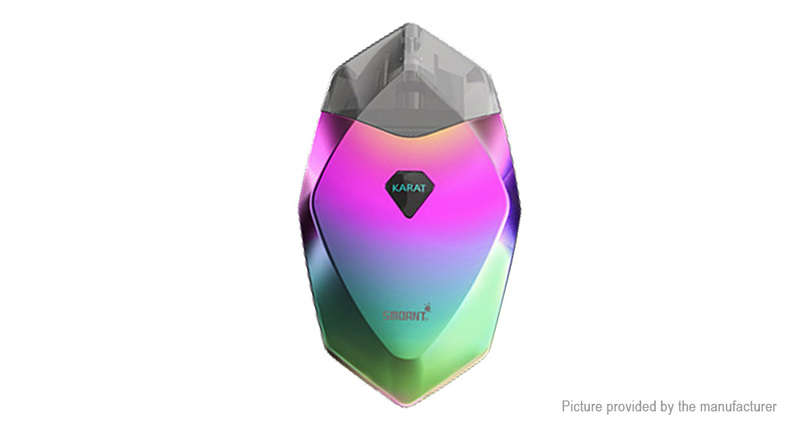 Magnet connection: Karat uses magnets to connect pod and battery, provide you safer and easier vaping experience.